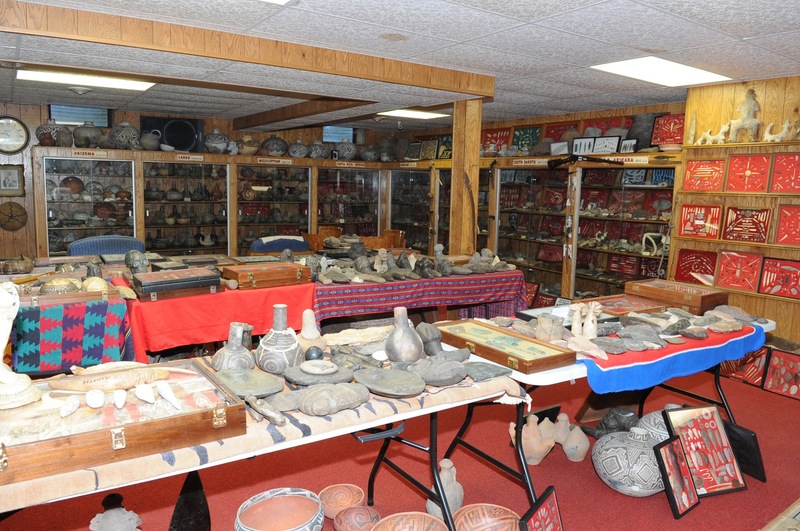 When US law enforcement agents raided the rural Rush county home of Don Miller in Indiana four years ago, the execution of that search warrant resulted in the largest single recovery of cultural property in FBI history. 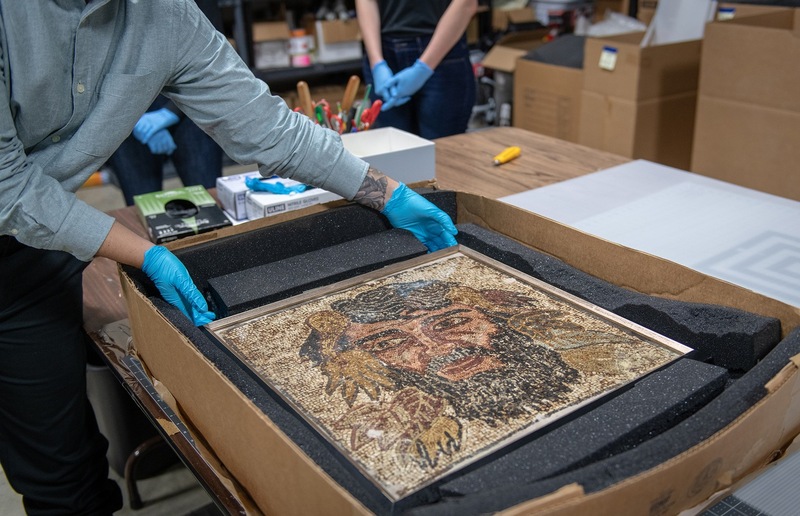 Since that time, the Bureau’s Art Crime division has been tasked with identifying just who are the rightful owners of more than 7,000 objects from around the globe that were found in the now-deceased collector's main residence. The objects once filled the house where Miller resided with his wife, his basement, a second, unoccupied residence on the property; and several outbuildings, accessible via a tunnel which connected the house to the adjoining buildings. Prior to the Federal seizure Miller had made no secret that he was an avid collector, even going so far as to have area schoolchildren over for tours of his amateur museum. Much of his collection was displayed inside carefully labeled glass showcases or spread out on folding tables. An individual well-known in his community, Miller was also profiled in local papers who wrote articles about his artifacts, about his service during World War II and about his connection to the Manhattan Project where he helped build the world's first atomic bomb. Cooperating throughout the investigation, Miller voluntarily waived his title to all of the seized objects prior to his death at 91 in 2015. As part of that cooperation, he relinquished the artefacts that he had acquired in violation of state and federal law and international treaties. a chunk of concrete that Miller purportedly claimed was from the bunker in which Adolf Hitler committed suicide. The task of returning the forfeited objects to their rightful owners is not an easy one. Nor is it easy to determine which artefacts crossed the line from legal to illegal or were the result of outright looting. 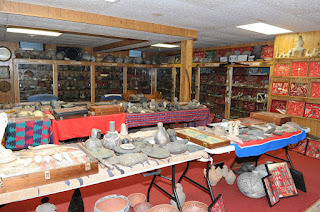 Additionally no single art historian or archaeologist can singularly provide the US government authorities with sufficient expertise about the origins of every object that Miller had in his possession as the collection itself was extremely varied. To adjust for this, the FBI has reached out to tribal authorities, academic experts, archaeologists and anthropologists for assistance in identifying the material. 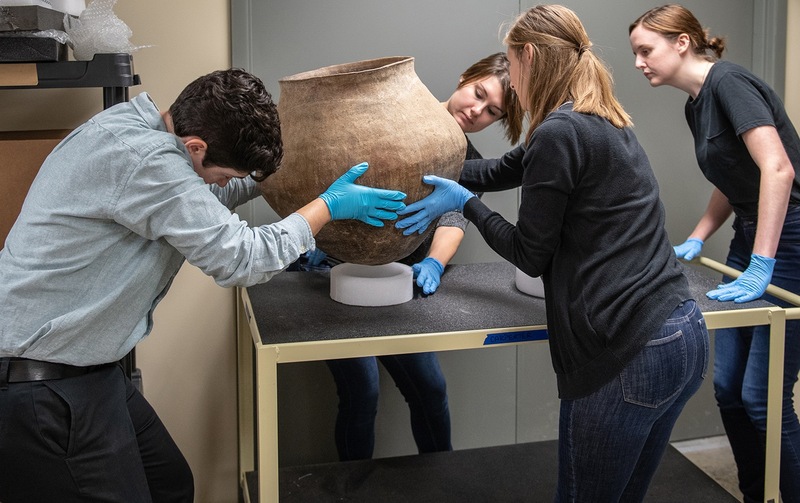 Assisted by museum studies students, the objects were carefully documented, preserved and curated into what would later become an invitation-only digital archive, where the relinquished cultural artefacts can be viewed by experts working towards their restitution. Screen Capture: FBI digital archive, Via FBI. To help with the identification of human and archaeological remains from North America, the FBI also contacted all of the federally recognised Native American tribes, some 600 in total, for their assistance in determining material of their tribal origin. 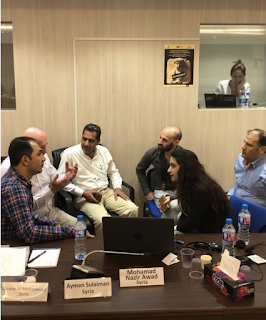 The authorities also hope to gain further assistance from governments around the world as well as from the indigenous tribes from outside North America. 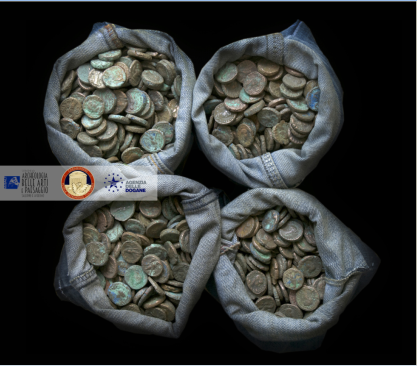 As reported on February 14, 2019 Egypt's Prosecutor General, Nabil Sadek, previously ordered 15 days of precautionary custody pending an investigation for Raouf Boutros Ghali for his alleged involvement in the trafficking of 23,000 ancient bronze and silver coins and 195 archaeological finds from Egypt to Italy which were seized by Italian authorities in Salerno in 2017. 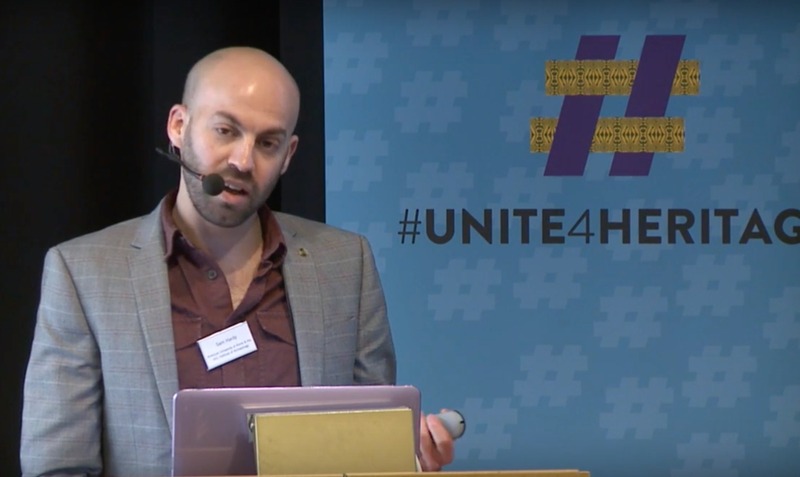 Yesterday, the Egyptian government, via the third chamber of the Cairo Criminal Court, led by Counselor Mohamed Mahmoud El Shorbagy met for a preliminary hearing. During that judicial session the court decided to extended the defendant's detention for 45 days in order to allow more time for a detailed investigation into the alleged offense. On March 14, 2018 Italy's Carabinieri Command for the Protection of Cultural Heritage, better known as the Carabinieri T.P.C., informed the Egyptian embassy in Rome that during a routine customs inspection in May 2017, law enforcement officials from the TPC, in collaboration with the officials of the Customs Agency and the local Superintendency, had seized a reported 23,700 archaeological finds, all of which were believed to have come from ancient Egypt. 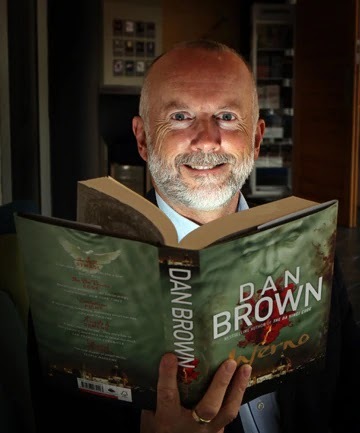 The stash had been discovered inside a diplomatic shipping container, sent through the port of Salerno of the type used to transport household goods. 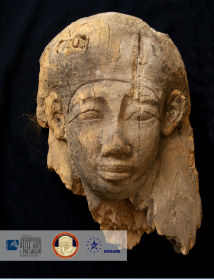 The Italian authorities shared that information with their Egyptian colleagues, including photos of the seized artefacts and promised to provide further clarification regarding the date and place of shipment, as well as details on the sender and the receiver, as soon as it was possible, when the disclosure wouldn't hamper their ongoing investigation. 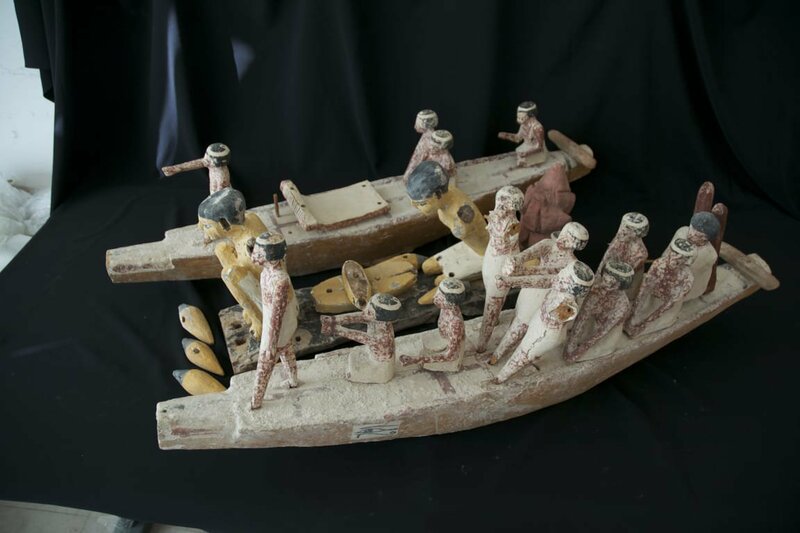 To determine the objects' authenticity, the Egyptian authorities formed a specialized committee to examine pictures of the seized objects and to ensure that the artifacts were authentic. If they were, their next step was to try to understand where they came from. When the news of the antiquities seizure hit the press wires, little information was released to the public. It was only stated that the haul came from a shipment of items belonging to an unnamed diplomat. As tensions grew between the two states, on May 24, 2018, the Egyptian Foreign Ministry made a formal announcement, denying that the seized container belonged to anyone affiliated with the Egyptian embassy or authorities in Italy. 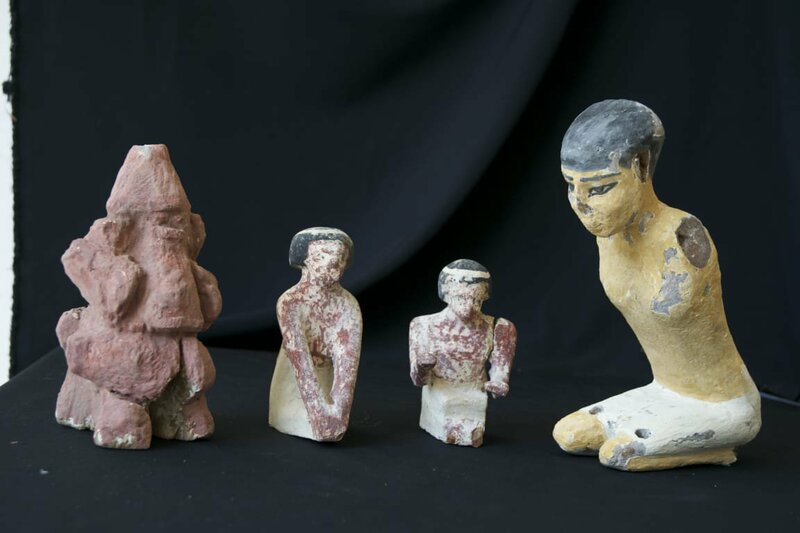 On May 25, 2018 Shabaan Abdel Gawad, who heads up Egypt's antiquities repatriation department within the Ministry of Antiquities, confirmed that the Egyptian authorities had deemed the artifacts to be authentic but the objects did not appear in any of the country's registries. This meant that the ancient objects, dating from the Predynastic to the Ptolemaic, as well as the Islamic era, had not been stolen from any known museum collection, and likely were the unrecorded finds of clandestine excavations of archaeological sites in Egypt. 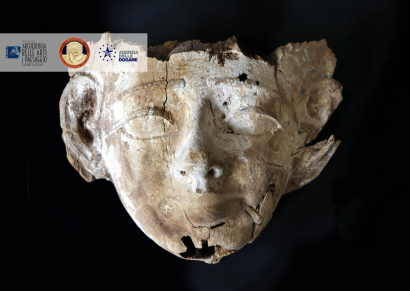 The objects were believed to have come from an area on the edge of the western desert in the Minya province, located in central Egypt, 250 km south of Cairo. This artifact rich area is known to have ancient catacombs that date back to the late pharaonic period, which spans from 664 to 332 BCE. The area has also been the subject to plunder and looting, which intensified after the country's revolution in 2011. 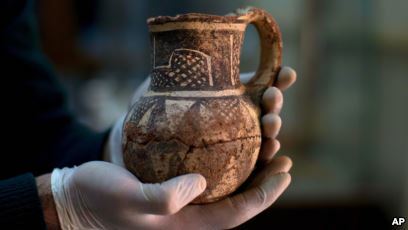 This confirmation by the Egyptian authorities put to rest early speculation that these objects might have come from the Sinai region, an area where jihadist groups affiliated to ISIS had spread. After the artefacts' authenticity was confirmed, the General Prosecutor's Office in Cairo sent letters rogatory to Italy requesting formal assistance in early June 2018. On June 27, 2018 at the headquarters of the Carabinieri Command for the Protection of Cultural Heritage, the Public Prosecutor at the Court of Salerno, Dr. Corrado Lembo and the Commander of the Carabinieri for the Protection of Cultural Heritage, Brigadier General Fabrizio Parrulli, returned a total of circa 23,000 ancient bronze and silver coins and 195 archaeological finds, including funerary masks decorated in gold, a sarcophagus, a "Boat of the Dead" with 40 oarsmen, amphorae, pectoral paintings, wooden sculptures, bronzes, and ushabti statuettes. 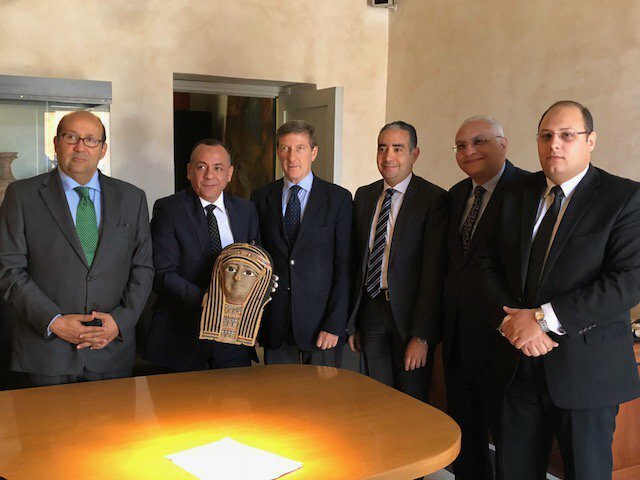 These items were handed over to Egyptian Ambassador, HE Hesham Badr, Professor Mohamed Ezzat, Senior Coordinator at the International Cooperation Administration of the General Prosecutor's Office, and Professor Moustafa Waziry, Secretary General of the Supreme Council of Antiquities for the Republic of Egypt. 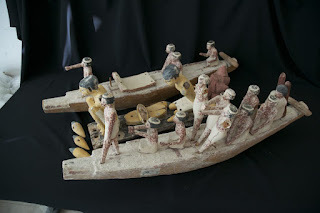 On February 14, 2019 Egypt's Prosecutor General, Nabil Sadek, ordered 15 days of precautionary custody pending investigation for Raouf Boutros Ghali for his alleged involvement in the trafficking of the Egyptian artifacts which had been seized in Salerno. Raouf Boutros Ghali, who holds passports from Italy and San Marino, is the brother of the former Egyptian Minister of Finance, Youssef Botros Ghaly whose served in that role under then President Hosni Mubarak from 2004 to 2011. He is also the nephew of Boutros Boutros-Ghali, Secretary-General of the United Nations from January 1992 to December 1996 who died in 2016. The Boutros-Ghali family are Coptic Christians with deep roots in Egypt's old aristocracy. The prosecutor general in Egypt has also ordered the freezing assets attributed to the former honorary consul of Italy in Luxor, Cav. Ladislav Otakar Skakal. 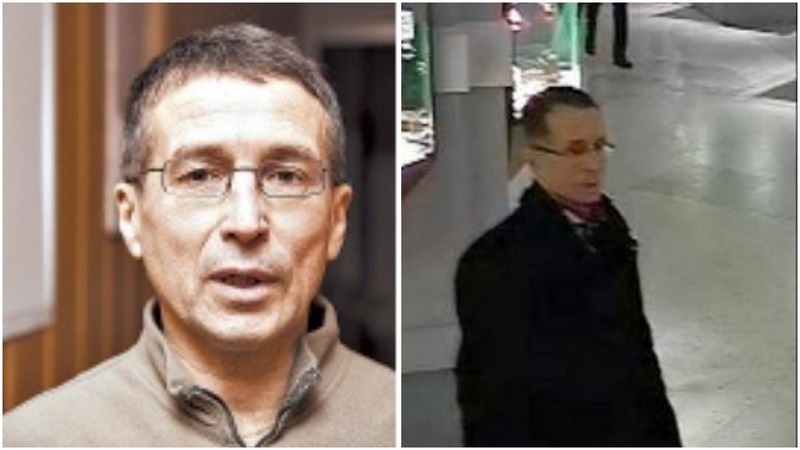 Skakal, who now lives in Rome, is believed to have been the unnamed Italian diplomat whose name was attributed to the seized cargo. Egyptian authorities have also placed financial constraints on the liquidation of assets on Medhat Michel Girgis Salib, and his wife Sahar Zaki Ragheb. Egyptian news articles state that Salib is the owner of a shipping company. 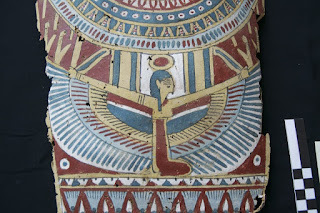 In researching details related to the acquisition and current restitution of the 1st century Egyptian B.C.E mummiform coffin, inscribed in the name of Nedjemankh, I came across two other objects which show Christophe Kunicki's relationship as an advisor of ancient art purchases to the Metropolitan Museum in New York. Purchased February 1969 by Uwe Schnell, Germany, from Heinz Herzer Gallery in Munich. Purchased in the 1970s by a private collector (probably Serop Simonian, Hamburg, Germany). Published fully in 1994, exhibited in Bonn University Art Museum 2006 through at least 2008 and published in the catalog. Acquired by the Museum at auction Pierre Bergé, 2014. 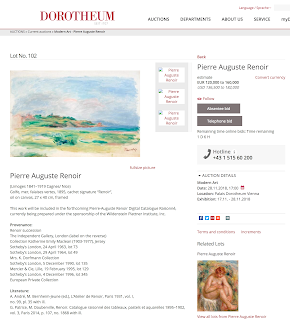 A check of open source records using the names Ewe Schnell, Heinz Herzer and Pierre Bergé & Associés combined only turns up one other antiquity, a panel painting of a woman in a blue mantle, which is also an acquisition within the Metropolitan Museum's collection. Heinz Herzer, as many followers of our blog know, has his own interesting history in dealing with ancient objects with fabricated provenance. Serop Simonian is an art dealer of Armenian origin, born in Egypt and a resident in Germany. He's interesting in that he has stirred up quite a bit of controversy regarding his involvement with the disputed Artemidorus papyrus, which he managed to sell in 2004 for €2.75 million to the Compagnia San Paolo Art Foundation notwithstanding that some experts have ascertained that it is a fake. As the statute of limitations on that piece ran out, Simonian was never charged. Believed to have been in the Todrous Collection, Luxor. Purchased February 1969 by Uwe Schnell, Germany, from Heinz Herzer Gallery in Munich. Purchased in the 1970s by the owner of the Tamerit Collection, Germany. Acquired by the Museum at auction Pierre Bergé, 2014. 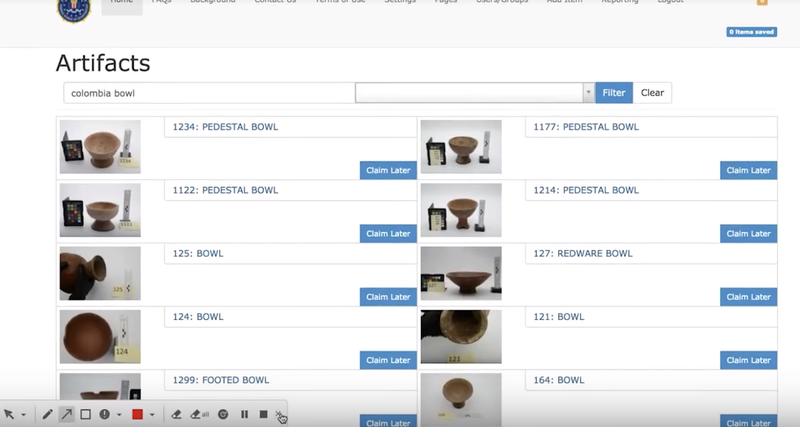 This earlier collection history mentions a "Todrous Collection" of which there is nothing documented in open source records anywhere on the web for any other ancient objects. A late antique textile fragment of a tunic with the inventory number T 34, from "the Tamerit collection" is on record at the at the Papyrussammlung der Österreichischen Nationalbibliothek at the Austrian National Library though not much else. Note this Metropolitan Museum record spells the name Todrous, while the recently restituted mummy spells the name Tawadrus, and trade journals spell the name Tawadros. Later in this post you will also see the name spelled Tadross. Ancient european private collection, 1969. Stepping back even farther, outside of the museum's website, the Monumental Stela of Kemes was published in Volume 25 Number 5 of the journal Minerva: The International Review of Ancient Art & Archaeology. A rare Egyptian limestone chapel-stele of Kemes, superior of musicians (3), from the 13th Dynasty, circa 1770 BC (H. 73cm), in the form of a quadrangular naos resting upon a base carved with façades, was purchased from the Luxor dealer Tawadros during the 1960s. The cover-piece of the sale, it was estimated at €300,000-€400,000, but brought in a hammer price of just €200,00 from the Metropolitan Museum of Art. The expert for both sales was Christophe Kunicki. 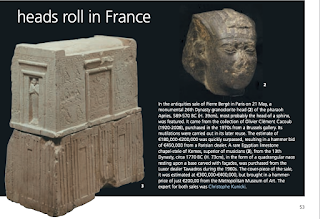 Notice that the involvement of the French dealer Christophe Kunicki via Pierre Bergé & Associés in furthering this acquisition transaction does not appear in any of the Metropolitan Museum's provenance records for the 13th Dynasty Egyptian limestone chapel-stele of Kemes. It only appears in the bimonthly trade rag for antiquities dealers. Purchased on 21 May 2014 the Met's record also leaves out the "Luxor dealer Tawadros" connection on this object. The name of that person is also the name associated on the now restituted 1st century B.C.E mummiform coffin, inscribed in the name of Nedjemankh. Note: Kunicki's website lists another egyptian object with the name "Habib Tawadros" giving us a another artefact linked to this mysterious Luxor dealer. 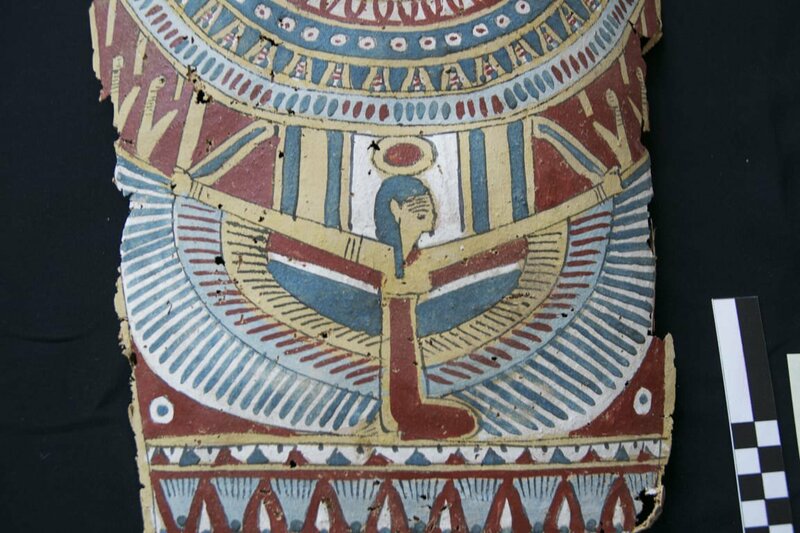 ARCA has notified the Egyptian authorities that this piece too may require closer examination. The Metropolitan Museum has agreed to return its 1st century B.C.E gold-sheathed mummiform coffin, inscribed in the name of the high-ranking priest Nedjemankh. 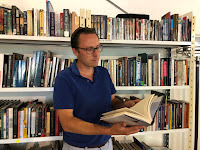 The late Ptolemaic (or Hellenistic) antiquity was purchased via art dealer Christophe Kunicki, who lists himself on his website as a member of the Syndicat Français des Experts Professionnels en Oeuvres d’Art and the Chambre Européenne des Experts d’Art. Purchased for €3.5m in 2017, Nedjemankh’s coffin had reportedly been on consignment with the Paris dealer via an unidentified private collector. Created out of cartonnage in the last century of the Ptolemaic Kingdom, a material used in Ancient Egyptian funerary objects from the First Intermediate Period to the Roman era, the object is made up of layers of linen stiffened with animal glue and layers of gesso. Evidence presented to the Manhattan District Attorney’s Office and confirmed by the Egyptian Ministry of Culture indicate that the antiquity may have been looted from Egypt in 2011 and exported utilizing fraudulent documents. Note that the timeframe of the possible plunder, listed by the New York Times, and the Egyptian authorities coincides with the fall of Muhammad Hosni El Sayed Mubarak, Egypt's former military and political leader, who served as president of Egypt from 1981 to 2011. 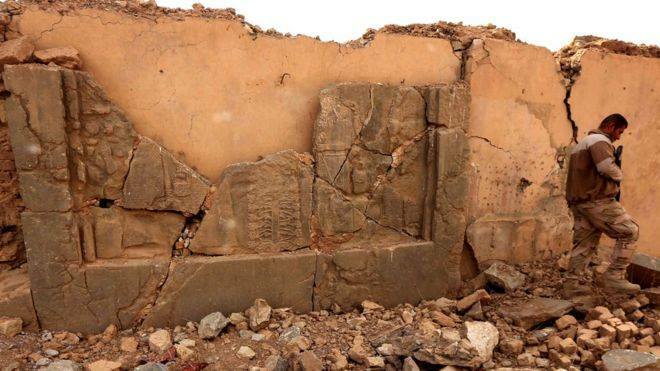 After the so called Arab Spring, Egyptian authorities reported a significant uptick in heritage looting, exacerbated in part by the country's revolution and subsequent political upheaval. "The coffin was exported in 1971 from Egypt with an export license granted by the Antiquities Organization / Egyptian Museum, Cairo. It belonged to the stock of Habib Tawadrus, a dealer active since at least 1936, with a shop Habib & Company in Cairo opposite Shepheard’s Hotel, and was exported by the representative of the Tawadrus’ heirs to Switzerland. An official translation of the export license was provided by the German embassy in Cairo in February 1977 for the use of the representative and now owner in Europe. 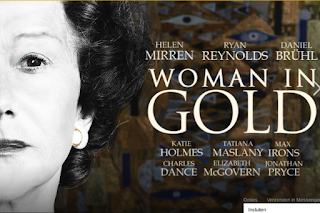 The coffin has remained in the family of that owner until its acquisition by the Metropolitan Museum in 2017." 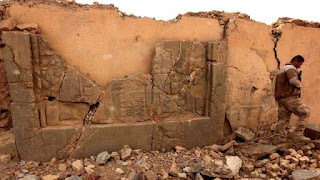 This spartan amount of information, on an ancient object of this significance, drew the attention of blogger Paul Barford in September 2017 shortly after the purchase was announced. 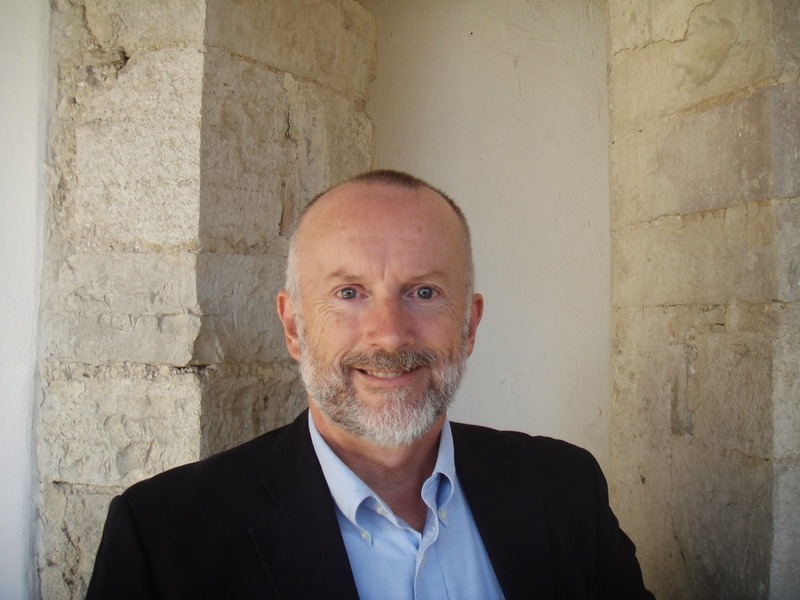 Christophe Kunicki's relationship as an advisor of ancient art purchases to the Metropolitan Museum in New York goes back at least as far as September/October 2014, when his involvement in two purchases was highlighted in Volume 25 Number 5 of the journal Minerva: The International Review of Ancient Art & Archaeology as having advised the museum on two other purchases. 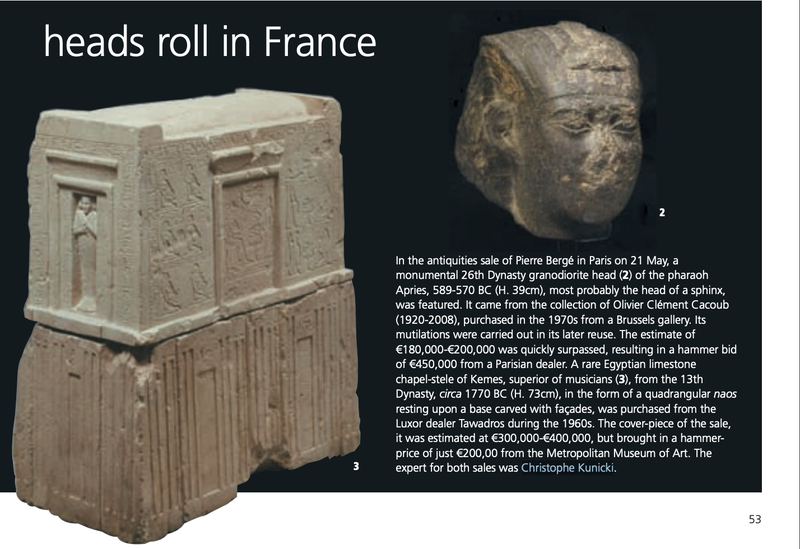 Those objects, memorialized in the screenshot above, were a 26th Dynasty granodiorite head of the Pharaoh Apries, purportedly from the collection of Olivier Cacoub and the 13th Dynasty Egyptian limestone chapel-stele of Kemes in the form of a quadrangular naos resting on a base carved with façades. 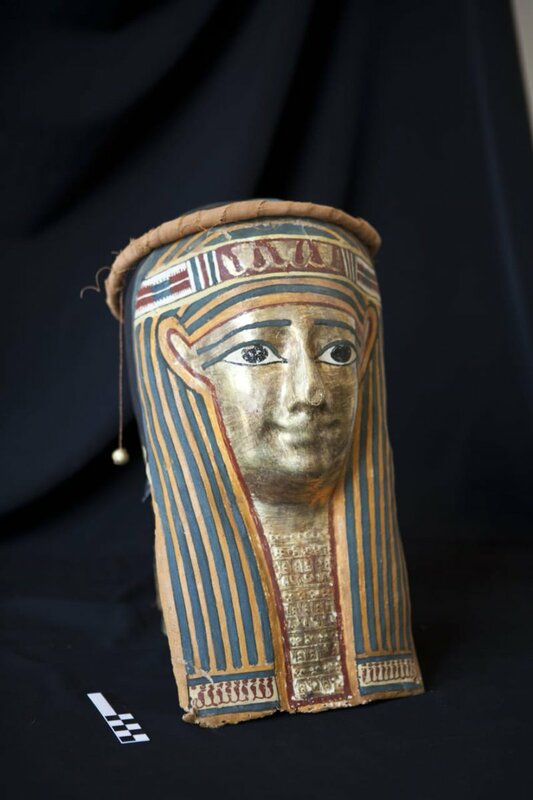 The later of these was purportedly from the same "Luxor dealer Tawadros," in the 1960s, whose name is attached to the golden mummiform coffin that has just been repatriated. It is not known at present if these objects are being given closer examination. The Met’s management has formally apologized to Dr. Khaled El-Enany, Egypt’s minister of antiquities. "All of the Museum’s acquisitions of ancient art undergo a rigorous vetting process in recognition of the 1970 UNESCO treaty, in adherence to the Association of Art Museum Director’s Guidelines on the Acquisition of Ancient Art and Archaeological Materials, and in compliance with federal and state laws." Given that the Met developed a substantial exhibition around this golden-sheathed coffin, one would think that the museum's "rigorous vetting process" would have also included a close analysis of export documentation to check for fabrication and forgery. A video from the Met Presents series featuring Curator Janice Kamrin and Conservator Anna Serotta talking about the coffin of Nedjemankh can be viewed here. 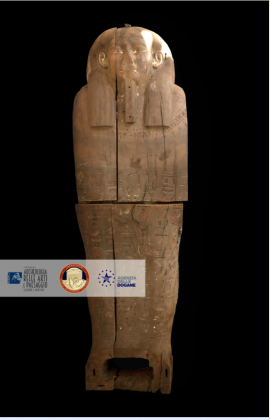 Upon the artefact's return to Egypt, it has been decided that the repatriated burial coffin will be displayed in the Egyptian Museum of Liberation until the Grand Egyptian Museum opens in 2020. Notation: Note this Metropolitan Museum record the name of the Luxor dealer as Tawadrus, while elsewhere in its records it records other objects using the name Todrous. The trade journal above spelled the name Tawadros. Another dealer spells the name as Tadross. 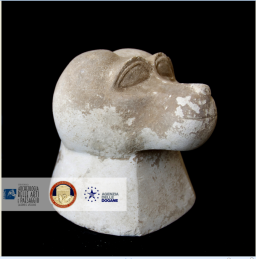 In a memorable act of rare collaboration, Italian officials have announced “the first case of such close co-operation between Italy and a private auction house” in which a number of illegally obtained and trafficked antiquities, the proceeds of clandestine excavations between the 1960s and the 1980s, were voluntarily restituted to the Italian authorities. 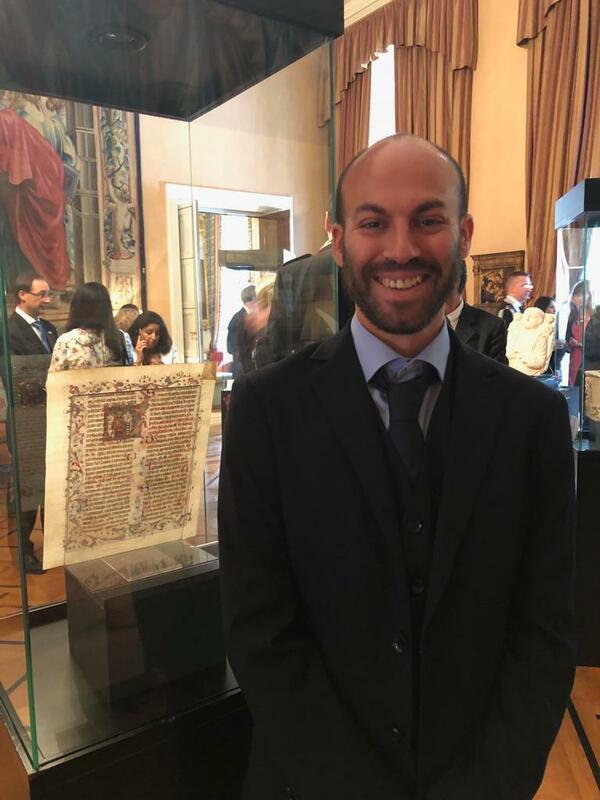 In a handover event held at Italy's Embassy in London, twelve antiquities and one document were ceremoniously returned, some of which had been placed up for auction in 2014 and 2015 and which were withdrawn from sale after being determined as questionable. Attended by Alberto Bonisoli, the Italian Minister of Cultural Heritage and Activities, Raffaele Trombetta, the Italian ambassador to London, Brigadier General Fabrizio Parrulli of Italy's Carabinieri Command for the Protection of Cultural Heritage, the CEO of Christie's Guillaume Cerutti and the auction house's Deputy Chief Executive Officer, Stephen Brooks, this event represents a much needed step forward in art market's cooperation with the Italian authorities and a welcomes step towards collaboratively working with one another towards the restitution of looted objects. A marble fragment whose theft from a sarcophagus from the Catacombs of St Callixtus, on the Appian Way in Rome was reported in 1982. A 6th -5th century BCE Etruscan terracotta antefix used to capthe terminus of covering tiles on ancient roofs. Provenance: Anonymous sale; Sotheby's, London, 9 December 1985, lot 273, when acquired by the present owner." Five (5) 4th century BCE Apulian Gnathian-ware plates. A 350-330 BCE red-figure Apulian hydria believed to be attributed to a follower of the Snub-Nose or Varrese painter. Provenance: Anonymous sale; Sotheby's, London, 8 December 1986, lot 183, when acquired by the present owner." A 2nd century CE Roman capitol. A Roman marble relief depicting a Satyr with Maenad stolen from the gardens of Villa Borghese in 1985. Greek Core-Formed Glass Oinochoe pouring vessel. A 14th century promissory folio from an illuminated manuscript by the Doge Andrea Dandolo and the ducal councilors. A 4th century BCE red-figure Faliscan stamnos vase used to store liquids. At the ceremony, attendees underscored that the art market's ethical codes need enhancement and that greater due diligence is needed to ensure the legitimacy of objects before accepting them for sale. 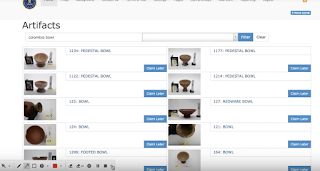 With over 1 million two hundred thousand stolen objects and about 700 thousand images of stolen and looted art, the Carabinieri's Leonardo database, the largest stolen art database in the world, is a good place to start when auction houses such as Christie's consider accepting them on consignment. 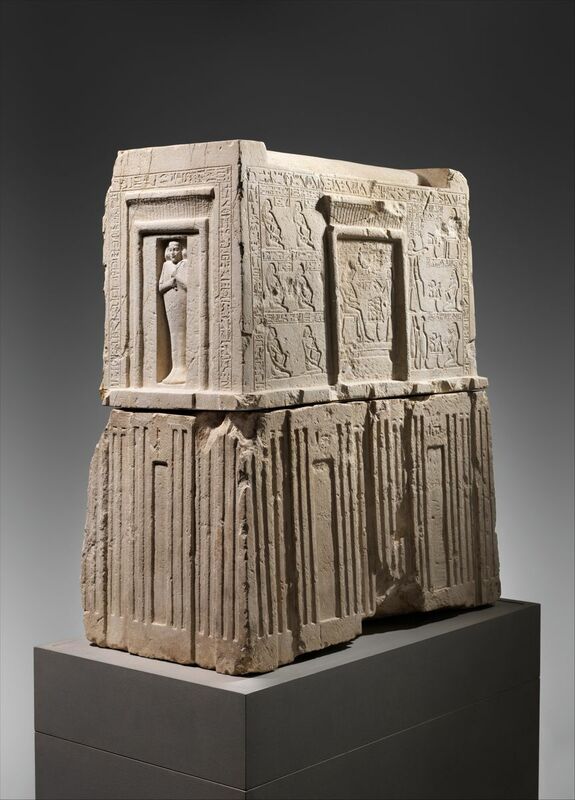 During the event Christie's staff indicated that the antiquities had been acquired in the past in good faith. Three of these however did not pass the smell test in 2014 and 2015 when they originally accepted for consignment and were placed up for auction. 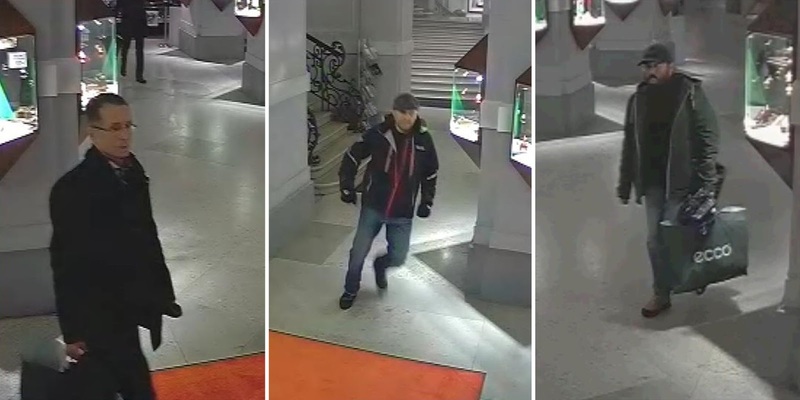 All three were later withdrawn when they were identified as having passed through the hands of well known Italian dealers who have consistently been linked to trafficked antiquities. Without the required, verifiable title, export documentation or collection history these objects had no place on the legitimate art market. 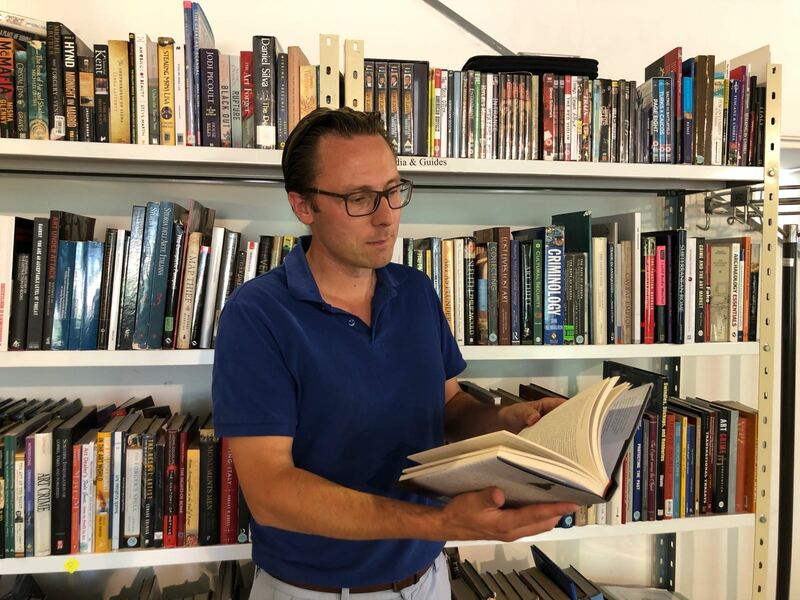 Auction houses are not the only parties that need to be diligent when evaluating antiquities, especially when considering objects which appear to have emerged on the open market without substantiated collection histories. Ancient art collectors should realise that their buying power and unharnessed demand for archaeological material, absent transparent ethical acquisition documentation, serves to incentivise those facing economic hardship to participate in, or tacitly condone, the looting of archaeological sites, by which illicit material enters the licit market. If collectors in market buying nations such as the United States and UK refused to purchase undocumented artifacts, then the supply chain incentives for looting historic sites, which by proxy funds criminal enterprise, diminish.